Everyone's favorite monkey is back as an 8-inch huggable plush toy. Everyone's favorite little monkey is back! Curious George has been climbing into hearts, capturing imaginations, and causing children and adults alike to fall in love for 70 years! 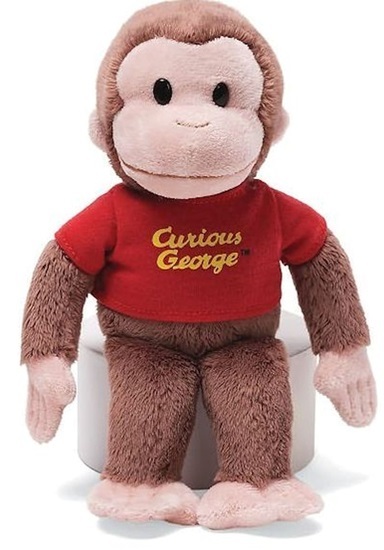 This is a soft brown plush monkey from GUND, dressed in a red t-shirt. He stands 8-inches tall and is good for ages 1 and up.